Let Acti-Kare turn your dreams of small business ownership into reality! More than ever before, seniors are choosing to remain in their own homes as they age, instead of going into a retirement center or nursing home. And because the number of seniors in this country is projected to increase dramatically now that the first Baby Boomers are retiring, senior in home care promises to become one of the fastest-growing businesses around. 8,000 people turn 65 everyday. 90% of those seniors if given the choice would prefer to stay at home in comfortable familiar surroundings as they age. The cost of an assisted living facility is about 36,000.- 45,000. a year, having care provided at home is 18,000. - 22,000. a year. We offer additional services beyond Senior Care. Acti-Kare also offers Family Care services ranging from our Childcare program caring for children and for children with special needs our Mommy & Me program and Mommy-To-Be program caring for expectant mothers and postnatal care for mother and baby. Personal Injury Care and Recovery Care caring for those recovering from an injury or surgery as well as Pet care. 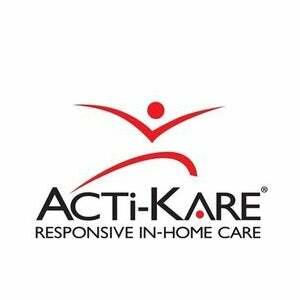 Acti-Kare franchisees provide superior caregiving services to the whole family in the comfort of their own homes. Franchise owners manage a staff of caregivers that help our clients live happier, more active lives. We Help Furnish the Qualified Caregivers: We assist franchisees with their initial pre-screened staff. Individual, On-Site Training at Your Location Or Ours: Actikare provides intensive training at our corporate location in Tampa, Florida.